What happened was that they'd all taken the easiest way out, Harl thought. They'd let a man get away with murder because they didn't have the gumption to stand up to him. Maybe they were afraid of gettin' hurt, or maybe they were afraid to take the side of a dead meskin against another white man. For whatever reason, they'd gone along. And now Harl was afraid they were doing it again. Paco Morales is a fifteen year old Mexican living with his sisters and widowed mother at the outskirts of a Texan town sometime in the last decades of the nineteenth century. One day while returning home, he comes across the body of a young girl whom he recognises as Liz Randall, the young daughter of the town's preacher. Afraid that he would be accused of killing her, he runs away but in his panic strikes against a tree and loses consciousness. Meanwhile, the preacher,Wayne Randall, reports that his daughter is missing to the Sheriff, Ward Vincent, who in turn sends a few men along with his deputy, Jack Simkins, to search for the girl. Soon they come across the girl's body as also Paco - who after regaining consciousness falls into their hands. The men not only beat him senseless but also decide to hang him, certain that he being a Mexican is responsible for the girl's murder. However, Simkins shows real steel and asks them not to take the law in their own hands and hauls Paulo to the jail instead. The sheriff when appraised of this finds himself on shaky ground. He didn't want to become the sheriff and becoming that did not want to get into any trouble. Meanwhile, Paco's mother, who not only knows a few things about Liz but also has no faith in the law - her husband being a victim of a miscarriage of justice - rescues her son from his cell and hides him in the shed of their house. Things get further complicated with the entry of Benteen, the richest man of the town along with his daughter, Lucille, who is engaged to the foreman, Charley. Charley was earlier into a relationship with Liz and Lucille doesn't take kindly to the fact. The town is on the boil, the preacher faces his own demons, and as the men braying for Paco's blood and ready to lynch him start towards his house, the Sheriff has to decide which way would he turn. There are certain books that are so engrossing that not only do you finish them in one sitting but also start over once again after finishing them. This is what happened with this book. 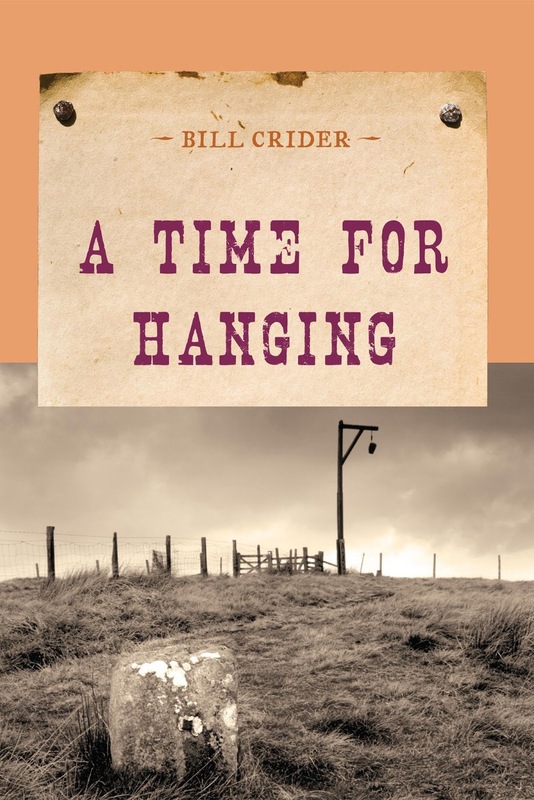 The author, Bill Crider, raises a lot of issues - racism, sexism, Christianity, justice, mob and herd mentality - in this rather short novel (under 200 pages) and makes you reflect on your own stand. How often we take the easy way out and then try to camouflage our guilt and cowardice. I loved how the author makes us privy to the thoughts of those riding towards Paco's house and their own conflicting thoughts about what they are doing. Likewise with the Sheriff and his deputy who know where their duties lie but would rather not take on a whole town. Also I always thought that Westerns were about men and guns and horses but Bill gives us strong female characters who are ready to stand up for what is right and that added to my liking for the novel. I read the book in an e-format (Open Library has many of Bill's books) but I am planning to purchase a paper copy of it as this is a book for keeps. 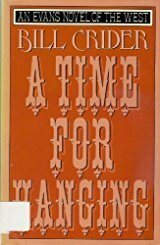 And here's an essay by Bill that I found on the Net where he talks about the mystery element in Westerns and mentions this book in passing. Truth to tell that while I have always been interested in mysteries, in this book I was so riveted on Paco and his fate that the identification of the murderer took second seat. First Line: Paco Morales had seen the woman before, had seen her often in fact, at least for the past month or so, despite the fact that his mother would always send him out of the shack when the woman was there. Today we are honouring, the author, Bill Crider @ Pattinase. Please head over there for the other entries. Welcome Sergio. I really liked this book and hope you read it too. I used to read westerns years ago, but not so much as I've grown older. But that doesn't mean I won't and this review has intrigued me, Neeru. 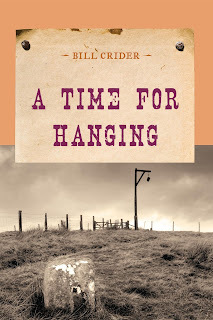 I've just begun reading Bill Crider (I reviewed his very first Dan Rhodes mystery today) and I'm looking forward to reading many of his books. I'll add this to the list. I have read only a couple of Westerns, Yvette, and am really not fond of the genre. But this one is very good and has made me keen to read more of Bill's work. This does sound good, Neeru, and I like Bill Crider's writing very much. I know just what you mean, too, about a book that so draws you in that you want to start it over again when you've finished. yes, there are certain books like that Margot:). I also liked his writing a lot. Like Sergio, I've not read many Westerns, Neeru, and like him I think the mystery element--and Bill Crider's authorship combined with your strong enthusiasm--would make this one a good read. Oh please do read it Mathew. i found it very engaging and am keen to know what others make of it. 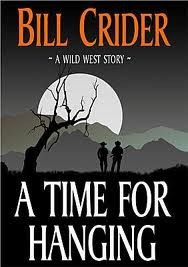 Thanks for reviewing one of Bill Crider's western novels. I have been wanting to try some westerns in general and I do have one other western by Crider. This one sounds especially good. My pleasure, Tracy. I hope you get a copy of this. Waiting for your views on the other Western.